Beatrice Allegranti is collaborating withe the Created Out of Mind team at the Wellcome Hub who are aiming to explore, challenge and shape perception of dementias through science and the creative arts. Below, Beatrice reflects on The Art Of Gesture Event at the Wellcome Collection, 14th July 2017 where she gave a talk, and facilitated a workshop that included showing excerpts from I’ve Lost You Only To Discover That I Have Gone Missing, her dance theatre work inspired by working with people living with young onset dementia. Download flyer here. “When people who do not know each other begin to move together for the first time, the most striking thing for me is the sense of kinship that often quickly develops. During my workshop facilitation for the The Art of Gesture public event what stands out is the memory of a crowded room, a large circle of people, spread wide with their backs almost touching the walls. 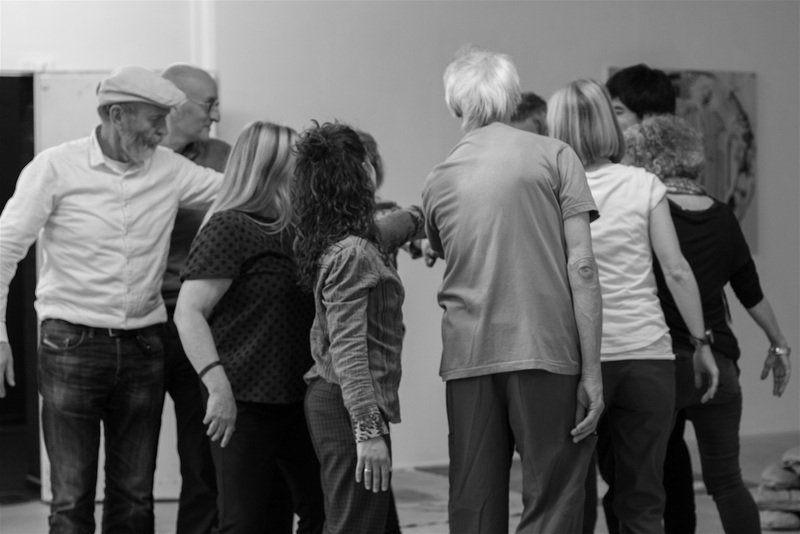 Everyone was concentrating intently whilst witnessing three dancers performing short excerpts from I’ve Lost You Only To Discover That I Have Gone Missing our dance theatre work emerging from interviews and lived experiences of dementias. As I looked around, I could see people’s bodies already twitching in response: a gesture, a smile or frown of recognition, a sway, a tentative reaching with one hand, a clenched jaw, a deep breath. Everyone was already poised to move their feelings about what they saw. When we move together it reminds us that we are vulnerable together. Any one of us could experience ‘dementia’, that all-encompassing word that belies the hidden experiences of each person. 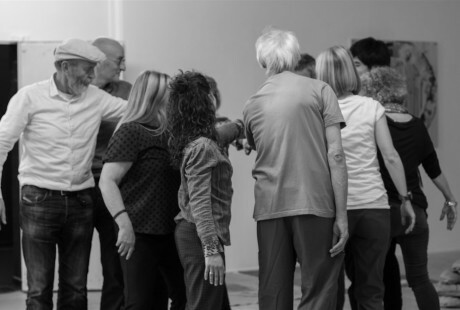 If we ground our emotional experiences in expressive movement it helps us reinstate an ethics of ‘embodied’ kinship, in other words, that people living with dementias, family carers, health professionals – are all interconnected. 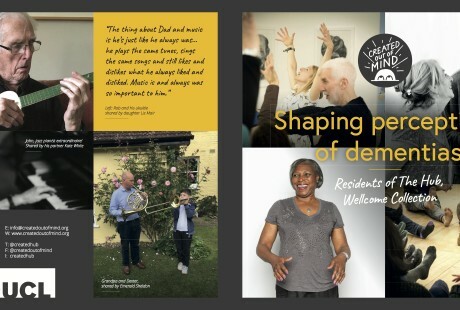 More than this, moving the experience of dementias helps us all to move beyond the diagnosis – it allows us to recognise each other and to feel part of the experience. At some point during the workshop I wanted to shout out: ‘dancing matters’! It helps us to make sense of all those layers of intimacy – with ourselves and each other. It helps us to reach, tentatively, defiantly, lovingly, fearfully, into our future, sensing our way into our own and each others’ lives”. Hello, I attended the ‘Art of Gesture’ workshop today. Unfortunately I had to leave early to catch my train home (it was busy in London today). I found the movement section really interesting today. I was unsure about what to expect, I was enjoying the ‘permission’ you had given to just move but also something happened which I hope you will find interesting. i used to be a carer for my elderly father and while watching the dancers there was something within the movement that had such resonance with me and something I identified so strongly with, it shocked me and literally stopped me in my tracks, I couldn’t take any further part, couldn’t move. I wasn’t expecting my reaction at all. The dancers were wonderful and it was absorbing to watch. I think if nothing else it shows empathy with those interviewed. I am so glad I attended – I learnt so much today. Thank you. In November 2017, Beatrice Allegranti presented a research paper and facilitated a workshop at the American Dance Movement Therapy annual conference. The conference was titled: Movement as Pathway to Neuro Resilience and Social Connection: Dance/Movement Therapy at the Forefront. I chose to go to a workshop at the ADTA conference with a title that was a puzzlement to me but nevertheless intriguing and presented by someone with whom I had no experience. I understood parts of what was included within Embodied Signatures: A Neurofeminist Investigation of Kinaesthetic Intersubjectivity in Psychotherapy and in Everyday Life but wasn’t sure of how it all went together. Happily, Beatrice Aliegranti is able to discuss her ideas with clarity and detail in a non-pedantic manner so that it all not only made sense but also became something to wonder about and notice in my work and in my relationships. The video presentation we were shown of those involved with the Afro-Brazilian martial art of capoeira illustrated how the senses become acute and able to respond to the other while practicing the art of attack and withdrawal. Dr. Allegranti is a serious practitioner of the art form and carries her learning into other settings, particularly in dance/movement psychotherapy which was the focus for those in the workshop. This kinaesthetic awareness relates not only to our own bodies but how we view others we are relating with in our practices and in daily life. Her emphasis is that we are never neutral in our body but respond on several levels to the various situations within which we find ourselves: cognitively, emotionally and sensorially. The movement sequences she devised for those in the group were most interesting on both a personal level and in being able then to imagine how we might make use of it professionally. 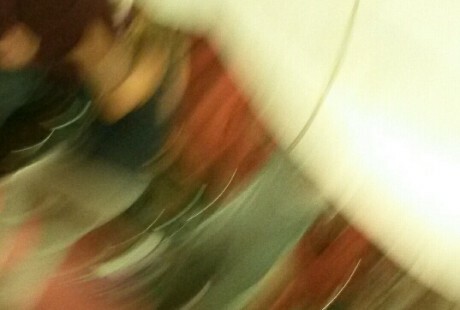 She divided the room into three sections: autobiographical, relational, and the socio-political. We moved to each area and realized the differences in the sensations and movement of our body experience in each of those places. It was possible to move from one to the other or focus on one area that was of particular interest to the self. I personally found it fascinating and it stimulated some awareness of issues that I had not previously allowed to emerge. Apparently this happened for others as many individuals later chose to share their experiences and its meaningfulness for themselves. Dr. Allegranti began the workshop by speaking of her work with grief, the elderly and other research and writing she has done or is in the process of working on. Her ability to integrate many art forms such as dance, choreography, the capoeira, writing, and film making speaks to her imaginative and creative mind as well as being able to give it form in many shapes. I was enriched by choosing to spend time with someone I had not met who was offering a workshop with a title I could not fathom. The time with Dr. Allegranti was indeed enlightening and a pleasure that I wish upon you all. A series of Professional Development Workshops and Masterclasses for dance artists, family carers and healthcare professionals will take place at Alexandra Palace and DanceWest early 2018. Email if you would like to join our mailing list or keep an eye on the News page.